Dynalite Drag Race Rear Axle Kits are the strongest and lightest available. They include forged billet Dynalite four-piston calipers, performance brake pads, and Grade 8 aircraft-quality hardware. 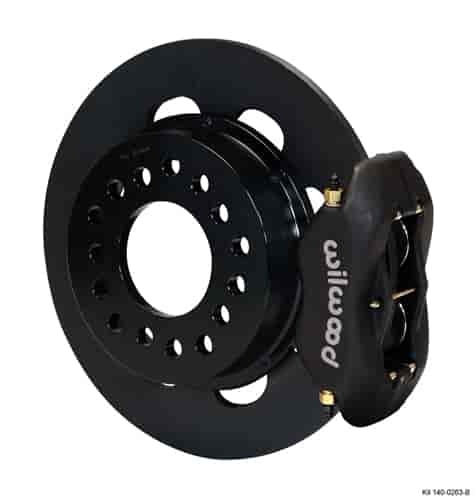 They features solid or drilled .350" thick rotors, eliminating the additional mass of heavy vented rotors.